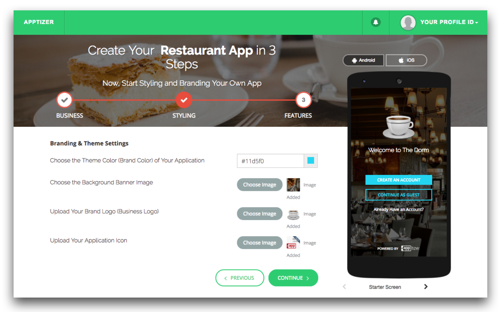 Apptizer creates a mobile store for your business in just minutes. 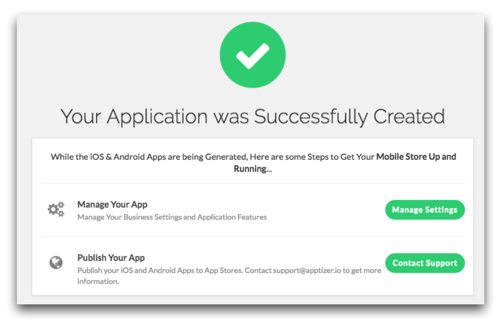 With Apptizer, you can sell your products on your own beautifully designed mobile apps for iOS and Android devices — without any coding required. 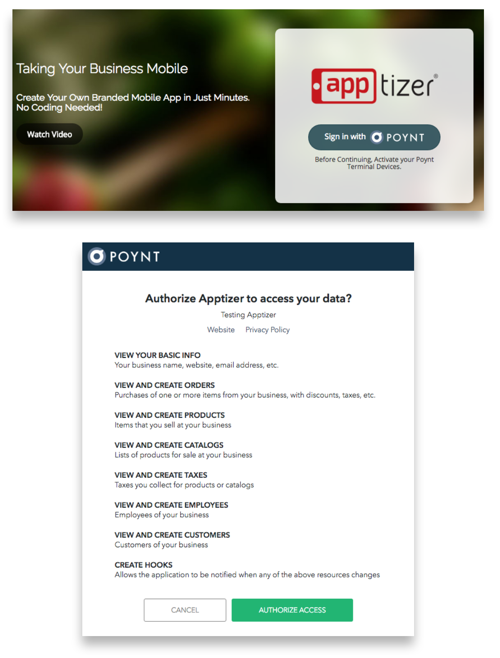 Spare your customers the endless order queue, letting them order ahead on their mobile phones and pick up at the counter, while you easily manage the orders with the Apptizer Merchant App on Poynt. With any questions not addressed by this Quick Start Guide, please reach out to Apptizer at 1-855-277-7669, email them at support@apptizer.io, or use the Contact Us button within the app on your terminal. Review your business details — these are automatically imported from your Poynt business details. If you’d like to make changes to your business name, location and phone number, you will be able to do so later. Enable features — you have the option of enabling or disabling features such as product ordering, social media sharing and real-time updates of your product catalog. They’re all enabled by default. NOTE: As you modify the style of your app, the mobile app preview is dynamically updated. To publish your apps to Google’s and Apple’s app stores, click on App Publishing and then Request to Publish. The estimated time that it takes for your app to be published is 1 week. If you need further assistance with Apptizer, contact support at support@apptizer.io.